We instinctively want to protect our children from hurt and harm. Most of us have some level of fear of dying and many of us avoid using the words “dead” or “dying”. 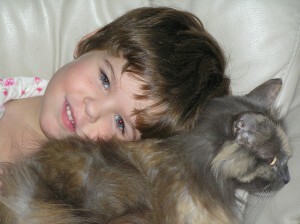 Surprisingly, most children soon adjust to the death of a pet if they are prepared with honest, simple explanations. Children begin to process the concept of death from a young age, even though they may not consciously be aware of it. Games such as “hide and seek”, and fear of the “boogie man” may be early expressions of learning to adjust to the concept of death. It is easier for children to recover from their grief for a lost pet if they are told the truth. 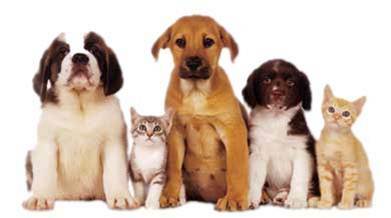 Adults should avoid terms such as “put to sleep” during discussions about the euthanasia of a family pet. Some children have misunderstood this common phrase and have developed a terror of going to bed and falling asleep. In discussions of the death of a pet, another commonly used explanation to children is that “God has taken” the pet. This has been shown to create conflict in children, who can become angry at God or resentful of their parent’s spiritual or religious beliefs. These expressions, and others like them, are not helpful to children and imply the adult’s own fear or denial of dealing with death. Each in their own way, children can understand that life must end for all living things. Your goal should be to acknowledge their pain, support their grief, and validate their every emotion. The death of your pet is an important opportunity to teach your children that you can be relied upon for comfort and reassurance. Encourage your children to express their feelings. Losing your pet can make your family reach out to each other, and become closer and stronger for it. Most child psychologists agree that children should be allowed the chance to say goodbye. If your pet is scheduled to be euthanized, children can view the body after it is over to give their friend one last hug. It can be helpful to organize a memorial service or make a scrapbook in your pet’s memory; your child might like to read a special poem or write a letter to express how they feel about losing this important member of your family.